2K Sports has released a new gameplay trailer for NBA 2K16, titled "The Living World". It documents how this year's installment will differ from previous years. In the video, NBA 2K gameplay developers Mike Wang, Scott O’Gallagher and Jerson Sapida talk about the enhancements in the game, which include improved atmosphere, realistic player movement, smarter AI, physics-driven collisions, coaching strategies, new post game and other elements of gameplay. 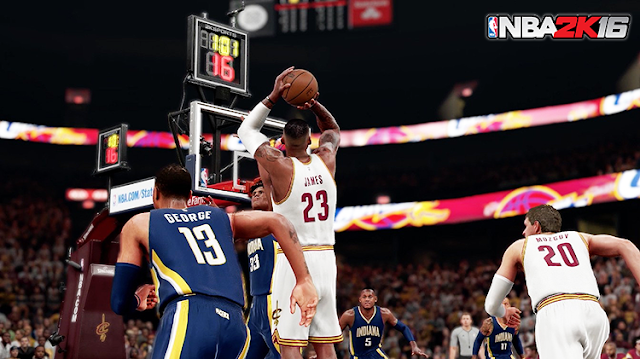 NBA 2K16 hits the court with the most authentic and real gameplay a basketball simulation title has ever. The game comes out September 29, 2015 on PC, PlayStation 3, Xbox 360, PlayStation 4 and Xbox One.